Are you confused about hearing aids and how they work with your “Smart Phone?” Did you know your hearing aids can help make YOU be smarter? Please join us for an informative presentation by Audiologist, Ann Mundell-Noel, owner of Ultimate Hearing in Laguna Hills; and audiology advisor for our Mission Viejo Hearing Chapter. She will show us how hearing aids are getting smarter and how we can use our smartphone to improve our comprehension in both quiet and noisy environments. Don’t have a smartphone? Don’t worry! Ann will talk about things you can do on your computer to also help improve your hearing. Get up to speed – join us for a fun, interactive session on hearing aids and smartphones. May is Better Hearing and Speech Month. With better hearing, better speech follows. Admission is free and reservations are not required. Our meeting room is looped and our meetings are captioned. The Mission Viejo Chapter offers people with hearing loss (and family and friends) a chance to gather in a quiet room with good acoustics, and to meet others who share your challenges as we all learn to cope better in a hearing world. nonprofit 501 (c) (3) exempt organization. 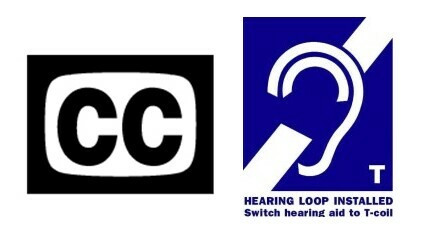 This entry was posted in Chapter Meetings, Deaf, Ear, Ears, Hearing Loop, Hearing Loss, Telecoil. Bookmark the permalink.